Exfoliating makes your face skin smooth, removes dead skin cells and provides fresher looking skin. 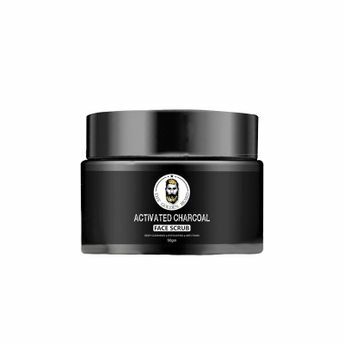 The Golden Beard Scrub with Activated Charcoal helps remove impurities and blackheads that leave you with a healthy and vibrant skin. It helps remove dead skin, while Apricot fades blemishes & pigmentation. This scrub is made with no harmful chemicals and fresh cells technology that contains exfoliating and deep cleansing properties which help reveal brighter looking skin. Explore the entire range of Scrubs & Exfoliators available on Nykaa. Shop more THE GOLDEN BEARD products here.You can browse through the complete world of THE GOLDEN BEARD Scrubs & Exfoliators .